Awesome! I didn't do my verses yet today, so I went right over and tried it out. :) Thank you! Awesome new feature, Alex! Since I work in an office daily, I can type the whole verse in about as much time as it takes me to think through the mnemonics; but I'm confident this new option will come in handy for a lot of people. It may be especially useful when learning brand new passages of Scripture and you don't have all of the Thy Vs. Thine parts perfectly memorized yet. Thanks Alex! This is going to be so helpful. I mostly use my phone to do Memverse, because the only time I can find to work on them, uninteruped , is really early in the morning and I don't want to take to time to turn on the computer! Dakota - Sounds good. I think my typing speed has improved dramatically just from using Memverse :) One caveat is that if the first letter prompts are visible, one can't use the first letter typing mode, since that would be a bit too easy; so depending on how the first letter prompts are setup in your account, it may or may not help with the Thy vs. Thine parts when the verse is new. EDIT: it's not working for me...am I doing something wrong??? EDIT: It's not working for me either. Rachel & BBJ12 - Did you try it with a verse that didn't have first-letter prompts? And did you put a space or other punctuation after typing the first letter? This is neet! I will use it for my Bible Bee verses the most because that is how the sword drill was last year for the Bible Bee. I clicked the little "x' on the prompt box, and I did put spaces in between the letters. When I started typing 1 letter, it looked like this: ... ... ... ... ... ... ... ... and so on. Matthew - I'll look for your issue on Get Satisfaction (Feedback tab). You can give us more information over there and we'll see what we can do. Thanks! oh okay. I'll switch it and see if that works. EDIT: I turned off prompts under my profile and now it works. Thanks! This is a great feature and it's very helpful for my little brother who can't type well. However, it would be really great if I could turn it off in my own account, as it messes up my system of using Memverse. If you can't make it optional, that's fine, of course. @Alex - sweet! Thanks - that'll help. I turned the option in my profile for prompts to "Never" and then back to "Learning", and now it is working. Thank you for this feature! Glad you guys got it working. Hannah - Remember that it won't register a first letter as a word until you press the space bar or a punctuation mark... so if you never want to use it, just don't press the space bar or a punctuation mark until you're done typing the whole word. I've be a little behind in my reviewing, so when I started typing yesterday, it was strange to have Memverse finishing words for me. This is a nice touch, and can be a great help, but you're right Andy. Say for example you mean "Be" instead of "Because." You typed the first two letters, but you had the wrong word. All this means is that you (myself included) should not give yourself full credit for that verse until you memorize the correct words. Other then that good idea Alex. Is this feature not meant to work on verses with feedback disabled? Haha! So the first few times i read this post I read one word. I see it's two now. Wow! Apparently, I need a class in paying attention! EDIT: Matthew - I think it should work even with feedback disabled so that if you type the first letter of every word, then when you get to the end of the verse, it should register as correct. If it doesn't (and your first-letter prompts are also turned off), then let us know and we'll try to sort it out. Haha! Ok :) I haven't tried it yet but I have some to do tomorrow so I will then! This was such a smart idea! 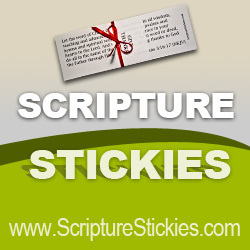 This is helpful but could help me not to memorize my verses as well. It's working with feedback disabled verses now. For some reason, either it wasn't working yesterday, or I missed an error that I made in the text box. Great feature! Really helpful when you have 120 verses due for review on the same day! Thanks again for this awesome tool! I am now able to get review done faster so I can have more time doing Bible Bee on www.quizlet.com! This feature sounds helpful, but I have found a different way to practice my verses. I don't like to type so I have been using windows speech recognition instead. This has worked well for me with a few exceptions. I'm currently memorizing Isaiah 40 using the new King James version. No matter how many times I've tried to get it corrected it in windows speech recognition, the software never gets the word "crooked" right in verse four. It usually spells it as "croaked". Overall though, I find it to be much better than typing. Thank you so much for Memverse! It is a real blessing to me. When I'm in my dashboard /profile or whatever u call it, it says I haven't memorized, so how do I memorize verses??? Justin - It can take a while for verses to be marked as Memorized, but the way to get there is to click "Review" in the menu bar at the top of every page. When you're done typing a verse, you can click one of the numbers 1-5 to rate your recall of the verse. Please click the little blue "i" button next to the numbers if you're not sure what each one means. If you're rating all your verses with the 5 button, you should see them memorized in about a month. If you're using the other buttons, it takes longer. Verses are marked memorized when the time that you need between reviews, without forgetting the verse, is greater than 30 days. matthew, how do i join your group??? At the top of this page, click on Account>>Profile and there will be a setting there for your group. (The link is http://www.memverse.com/update_profile) Type in "Bible Bee in Southern TX", click on "Update" near the bottom of the page and you should join us. Once you've done that, you can go to Account>>My Group (http://www.memverse.com/mygroup) to see the rest of the people in the group. Lol, you're welcome. :) You like my name "rainbowchocolatecandy"? :P I use that account for Bible Bee only, if you were wondering why I have two accounts.